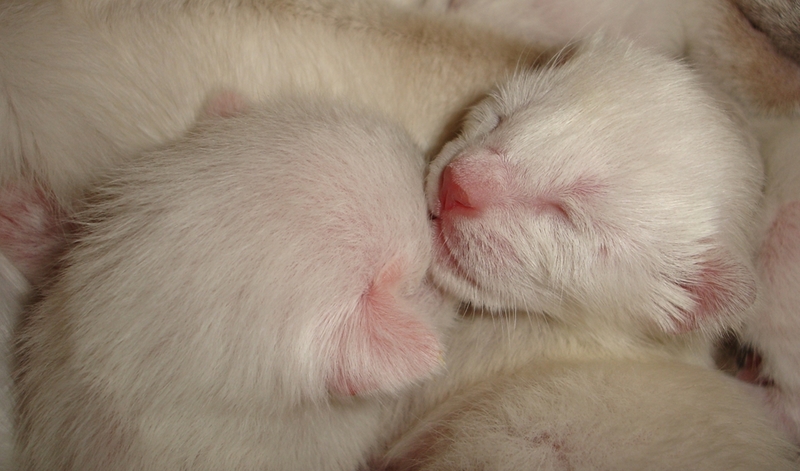 The kittens are almost two days old and they are growing before our eyes. We weighed them this evening and three of them went 20 gr up already and one went up 28gr! Jossan is so proud of them, and the big cats come and sit and watch the small ones few times per day, from a meter or two of distance. I wonder what Albert is thinking… he is so excited, and scared and curious at the same time. He can just sit and calmly watch his mom and his small siblings for hours. 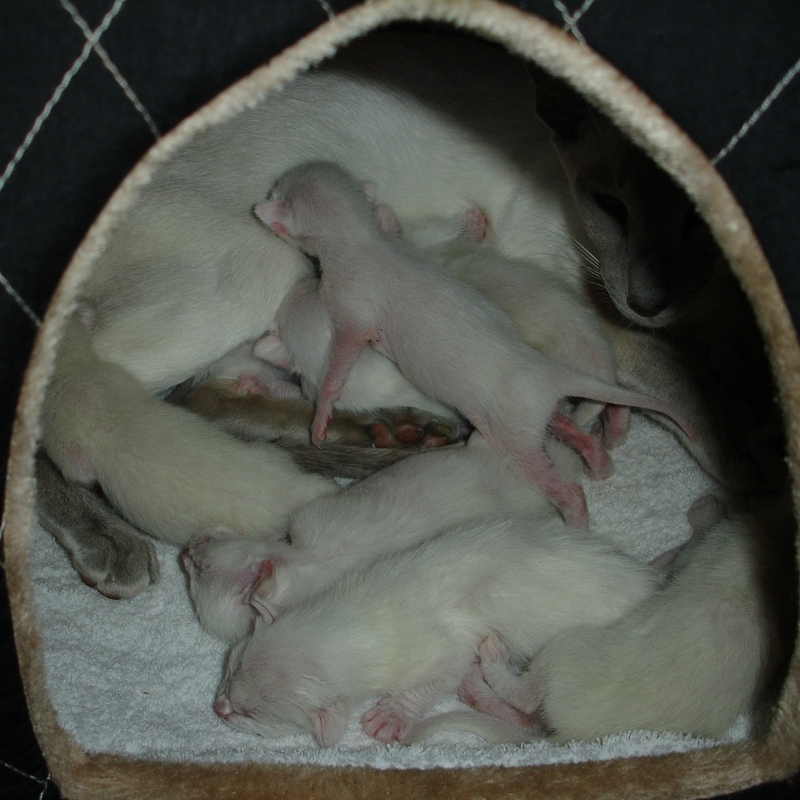 The kittens are doing great, they are only eating and sleeping. Jossan is also fine. She is very proud of her babies! 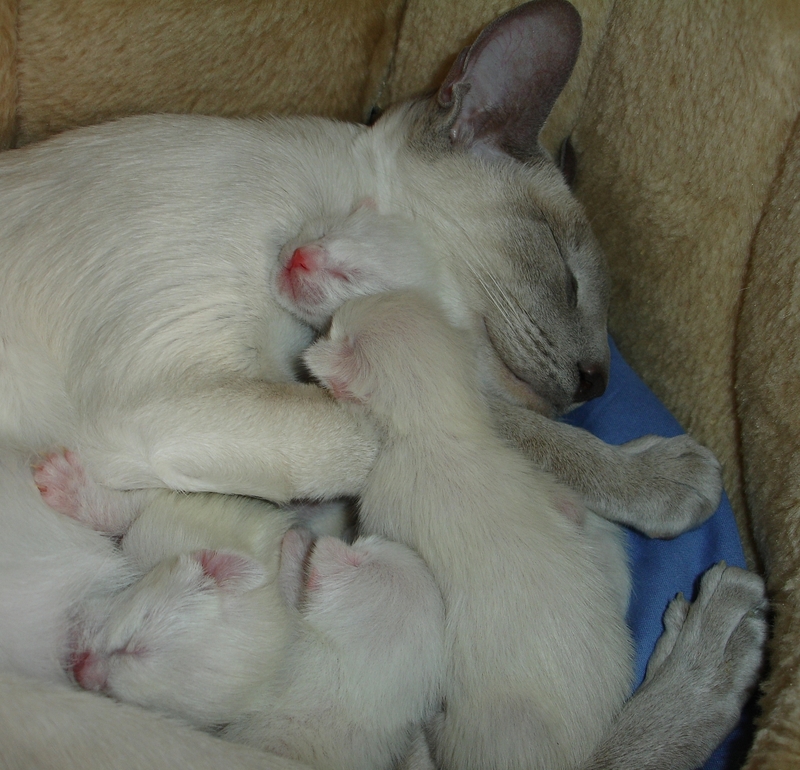 Here is a video of one little kitten, blue or seal point, nursing. It is not easy when you are that small!